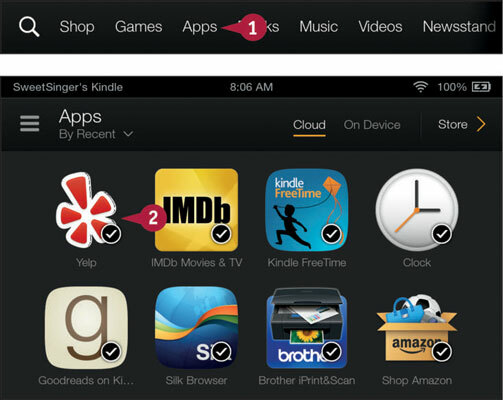 The Apps content library appears. Tap Yelp (2). 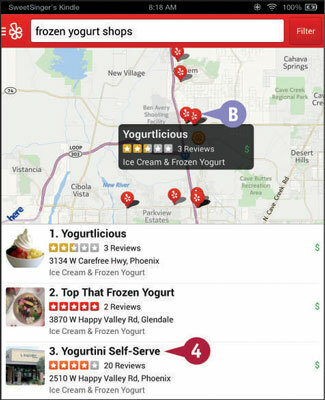 The Yelp app opens. Tap in the Search field to type a search term and tap any Search button on-screen. You can tap one of these popular categories to search that category (A). 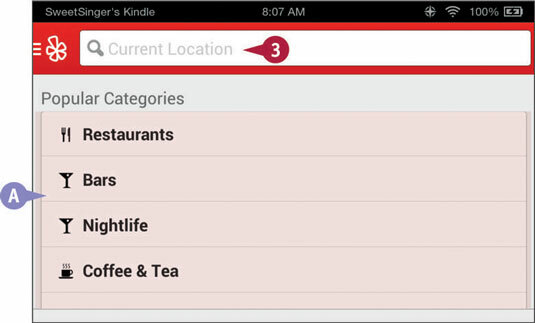 Note: If you type no search term and tap the Search icon, Yelp returns a list of all known businesses at your location. Search results appear in list form and on a map containing a marker for each search result. You can tap any marker on the map to determine the search result it represents (B). The Yelp page for that search result appears. 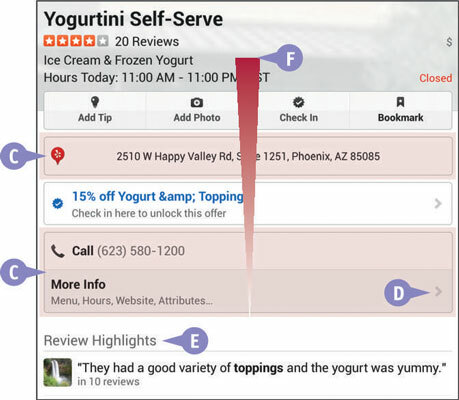 Location and contact information (C) appears on the Yelp page. You can tap D to read website details. The page contains review highlights and photos (E). You can swipe up to scroll down the page and read reviews and tips and see people who regularly check in to that business (F).